I will manually build 30 FRESH AND UNIQUE HOMEPAGE AUTHORITY Backlinks on High Domain Authority & Page Authority Sites. This service helps your Google ranking very easily for your site. This project 100% manually and 100% Effect on your Website Ranking. 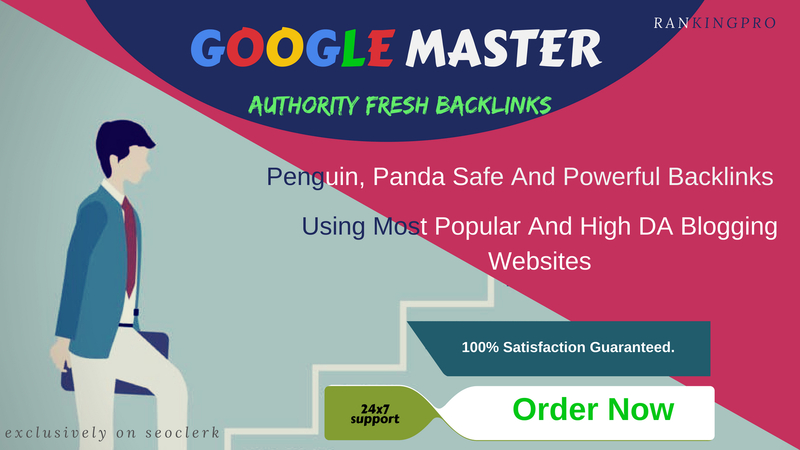 Google Master SEO Full Package Very Easily Rank For Your Site is ranked 5 out of 5. Based on 1 user reviews.